Since 2011 the Hotel Anthony has enriched the services offered with the possibility of giving is customers a pure wellness experience in Jesolo. Wellness moments for the body and the mind that will regenerate you in depth and which will make your stay at our 4-star hotel even more exclusive. The hotel in fact collaborates with the wellness center of Jesolo Villa Giulia, located a few kilometers from the hotel in a pleasantly quiet area. Here, as an alternative to a rainy day or even to find some relief from the summer heat, you will find the ideal refuge where you can be pampered and get back into shape to welcome the next day of sun and sea. Villa Giulia was born in 2003 from an old farmhouse transformed into a modern and refined wellness center immersed in the countryside of Jesolo. The place, the atmosphere and the services guarantee high standards for a luxury accessible to all. 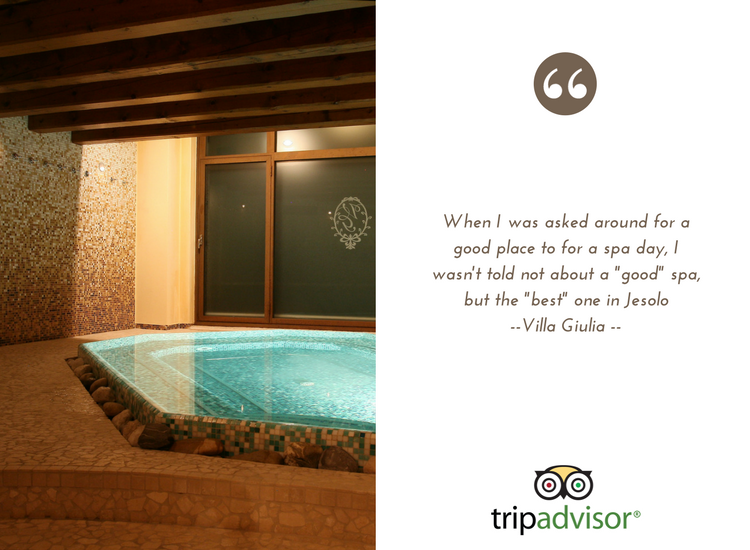 In fact, Villa Giulia offers a combination of exclusive treatments that meet every need, at very affordable prices. All our guests can enjoy pleasant moments of relaxation taking advantage of the center and taking advantage of special offers and benefits. Take advantage of this special opportunity and book now your healthy holiday at our hotel. Treat yourself to a wonderful relaxing package!